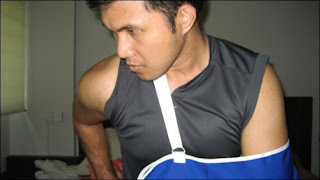 Last 20th of February, I filed an MC (term used for Sick Leave here in SG) as I encountered difficulty moving my left arm. I really felt sick that time. My movements were limited and couldn't take my everyday routine. I also had to give up my gym session due to this case. I immediately went to the nearest clinic in our place to seek help and medicine. The doctor provided me a liniment oil and 10 tablets for muscle pain. I really don't know what caused this pain but the closest connection is maybe the way I do my weight lifting inside the gym or the position or the way I sleep. The pain took for three days then on Monday I reported back to office. I really felt good that time. The next day, Tuesday, I returned to the gym to do my workout routine. Everything was fine that time and it was even my first time to join an RPM cycling class. But later that day, the pain returned and I was kinda mad of myself. Wednesday came and the ultimate pain was there again. 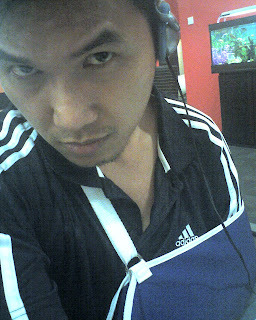 Still, I went to the office with only my right arm functioning. I took again the tablets given to me by my doctor and applied liniment oil. Today, Thursday, the pain is minimal. No more arm support and hoping that this recovery will continue. I am planning to do a cardio exercise only tomorrow in the gym... Hope everything will be fine.